In early March, the Lake Forest Park passport office launched an online waitlist system for passports that allows users to see estimated wait times and to sign up on the waitlist online, via a button on the City’s website. Applicants may sign up no more than 15 minutes prior to the opening hours for the passport office. In-person customers sign in on a tablet in the City Hall lobby. Once you have signed in, the system can send text message updates about your waitlist status. When it is your turn, the system can send a text message to you. If, after receiving the text, you find your arrival will be delayed, it is important to update your status by following the instructions included in the text. If an applicant is not present when it is his/her turn and we have not been notified of a delay, the person’s name will be removed from the waitlist. If you are thinking about coming to City Hall to apply for a passport and want to see how busy we are before you head down, you can check the wait in real time via the link on the “Passports” page on the City’s website. Depending on the amount of time you have available, you can sign up on the waitlist or make plans to come another day. 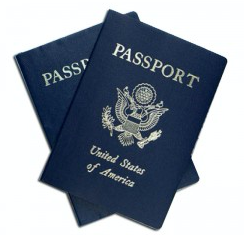 For more information about passport services, and to access the wait-list button, click HERE.